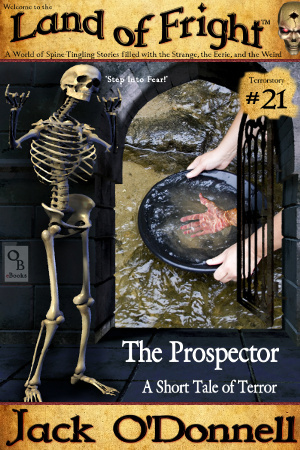 In the 1800’s, a lonely prospector finds the body parts of a woman as he pans for gold in the wilds of California. He stared with wide eyes at the severed arm on the floor as the fingers on the hand moved. They quickly became still and he wondered if he had just imagined their movement. No, he had seen them move. He was sure of it. And he had felt them. He had felt them move on his body. He continued to stare for a long moment. The fingers hadn’t hurt him. They had just scared him. An undeniable stirring in his loins prompted him to reach for the arm. He hesitated for a moment, but then picked the arm up and looked at it. The fingers were still. Don’t do it, Jeremiah. Don’t be a fool. You just plucked that out of the stream. That’s a dead woman’s hand. That just ain’t right.